The original, vacuum tube Echoplex units have been used by many of the biggest names in guitar history. The likes of Chet Atkins, Duane Allman, Eddie Van Halen, Joe Walsh, Eric Johnson, Randy Rhoads, Andy Summers, Joe Satriani, Jimmy Page, and many others, have all utilized the Echoplex as an integral part of their tone. A tape delay effect unit, the Echoplex uses magnetic tape to record input signal and then output the recorded copy at desired time intervals, thus creating an “echo” effect. 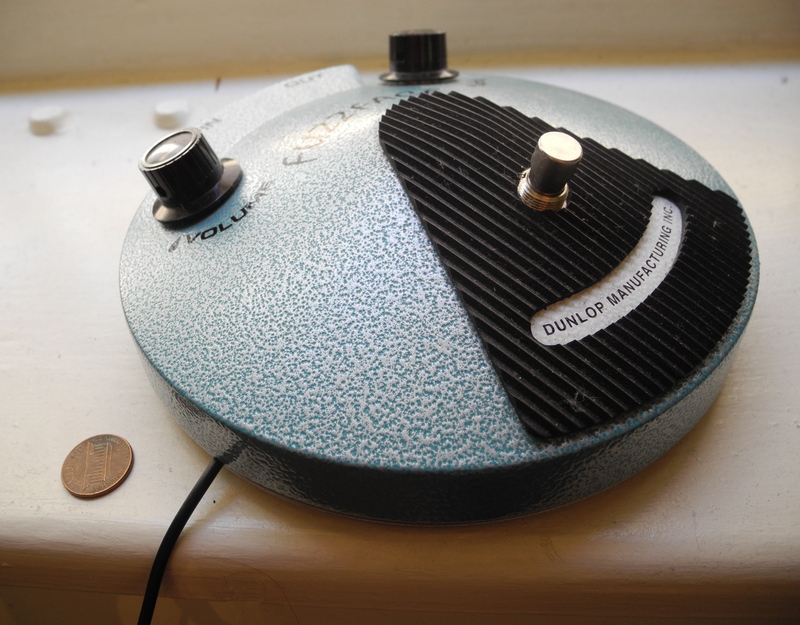 This was the earliest incarnation of delay/echo – a truly analog guitar effect. Roughly designed after its predecessor, an amplifier called the EchoSonic, the Echoplex incorporated recently developed vacuum tube technology, which could be used as a filter when the delay effect was turned “off.” This made the Echoplex function as a pre-amp, supplying a boost to the signal before it was processed by the amplifier. This is the way in which a majority of the infamous Echoplex devotees have used it – as a pre-amp. Most will use an Echoplex in the beginning of their signal chain with the delay effect turned “off,” gaining a clean signal boost that, many claim, is the key secret ingredient to their tone. For whatever reason, the boost supplied by the Echoplex adds elements to a guitar signal that just sound better! The unique combination of EQ, slight compression, and gain boost create harmonic qualities that beef up any guitar tone in the most desirable way. The problem – vintage Echoplexes usually go for around $1000 dollars. Not only that, the unit is heavy, about 1 square-foot, and filled with fragile, expensive magnetic tape. Who wants to deal with all of that just for a signal boost? That’s why Xotic Effects created the pedal that everyone is talking about – the EP Booster. Probably the smallest pedal on the market, the EP Booster takes all of the unique elements of a vintage Echoplex pre-amp, and puts them into one compact stompbox. With up to +20dB of clean boost available, dictated by one knob, the EP Booster provides that tonal “spark” that has made the Echoplex legendary. 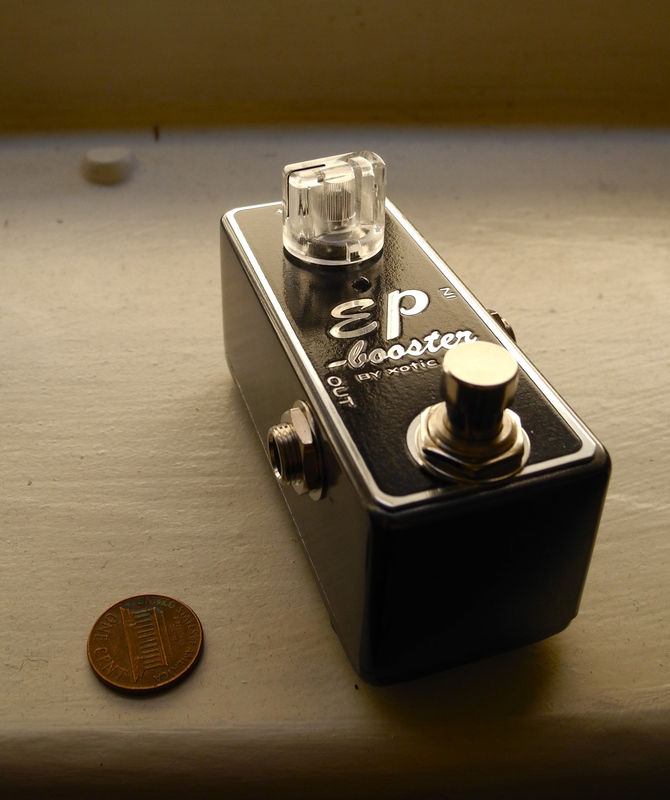 Used as a permanent staple at the beginning of a signal chain, or as an occasional clean boost, the EP Booster will radically improve the tone quality of any guitar. It also has an internal DIP switch for dialing in EQ and boost frequencies, to really hone the tone. Overall, this little pedal has a big effect on the sound of an amplified guitar, one not easily described, but undeniable. Don’t believe it? Just ask the EP Booster’s biggest fans, Steve Lukather, Joe Bonamassa, Brent Mason, Dave Weiner, Oz Noy and Tim Pierce, to name a few. So check out the EP Booster by Xotic Effects USA! For more info on the pedal itself, check out the EP Booster website, and be sure to check out YouTube for some great examples of what this amazing pedal can do. 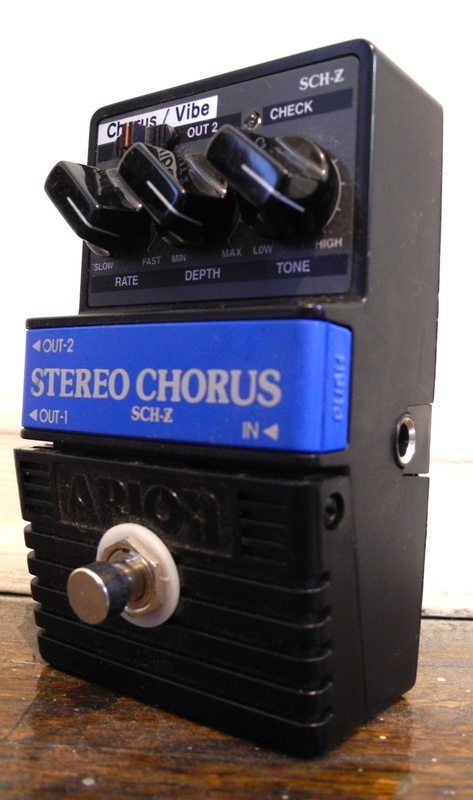 The original Arion SCH-1 Chorus pedal is a legendary guitar accessory. Coming to prominence during the 1980s, the SCH-1 became a staple on many professional pedal boards. Known for its deep, lush chorus sounds and tonal versatility, the Arion SCH-1 secured its spot in stomp box history. However, the SCH-1 has long since been discontinued by the Japanese based company, Arion, which today produces its modern brethren – the SCH-Z. Many tone freaks argue the superiority of the SCH-1 to the SCH-Z, citing circuitry, country of origin (the SCH-Z is made in Sri Lanka), and most importantly, sound quality, but most professionals will tell you that there is very little difference, if any at all. Save price of course – while a new SCH-Z is $50, the SCH-1 can easily fetch upwards of $100 on eBay. This discrepancy is most likely due to rarity, as vintage pedals are very collectible. 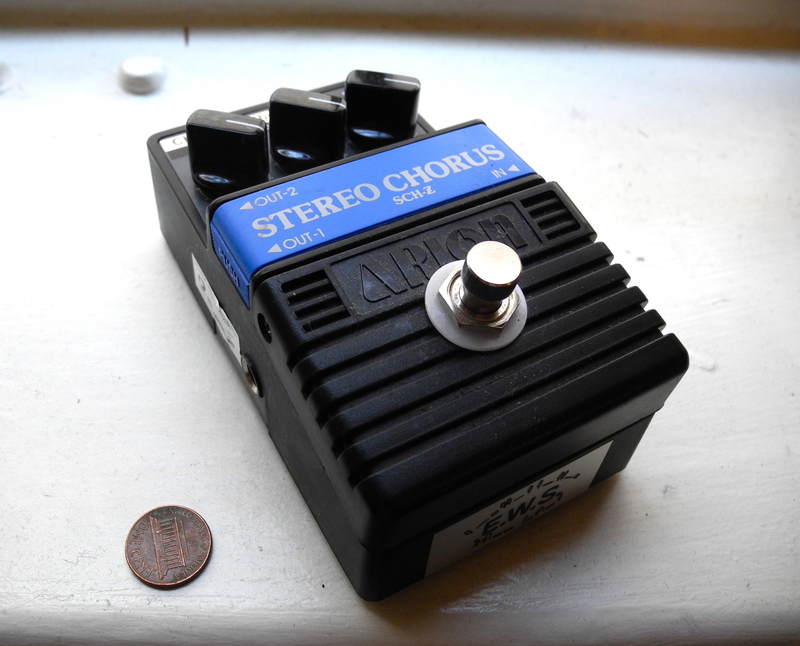 Still, with all its perfection, many players sought improvement to the Arion Chorus pedal. That’s where another Japanese based company, Engineering Work Store, comes in. Partnering with rising pedal stars, Xotic effects, E.W.S. has created their own Arion SCH-Z modification. Starting with an original Arion SCH-Z pedal, E.W.S. makes a series of modifications to improve durability and sound quality. They make the pedal True Bypass, add a brighter LED light, improve the tone adjustment knob, create a more durable foot switch, and most significantly, change the “Direct/Stereo” control switch to “Chorus/Vibe.” As opposed to having the option of producing a stereo signal, E.W.S. has created two different chorus options within a single pedal. “Chorus” mode is a more traditional, subtle chorus sound, akin to a Boss CE-5 or TC Electronic SCF. The “Vibe” channel is a deeper, more intense chorus, emulating the sonic phenomenon of a Leslie rotary speaker. Although you lose the option of having a stereo signal, you gain an exponential amount of tonal range and diversity. Plus, how many of us are really using a true stereo set up on stage anyway? Overall, this is a flawless chorus pedal. From George Harrison-esque Leslie sounds, to Eric Johnson chorus sparkle, to Stevie Ray Vaughn styled blues chorus, to just plain far out, this pedal does it all – and well! A great blend of classic tone and modern technology, the E.W.S. Arion Chorus/Vibe Mod is a great purchase for anyone looking for a unique addition to their pedal board. At $195, this is a professional-grade pedal that will exceed your chorus expectations and last a lifetime – just ask some of the pedal’s biggest proponents, Joe Bonamassa, Scott Henderson, Oz Noy, and Allen Hinds! The Dallas Arbiter Fuzz Face has one of the most instantly recognizable tones in Rock history. Popularized by Jimi Hendrix, this pedal has been used by David Gilmour, Eric Clapton, Pete Townshend and more recently, Eric Johnson. Producing a thick, distorted, “fuzzy” tone, this pedal adds grit to any signal, creating something akin to the sound of a blown speaker. This pedal is also equally popular amongst bass players, from Jaco Pastorius to modern Rock players. Although originally produced by Arbiter Electronics, Dunlop Manufacturing assumed production in 1993. 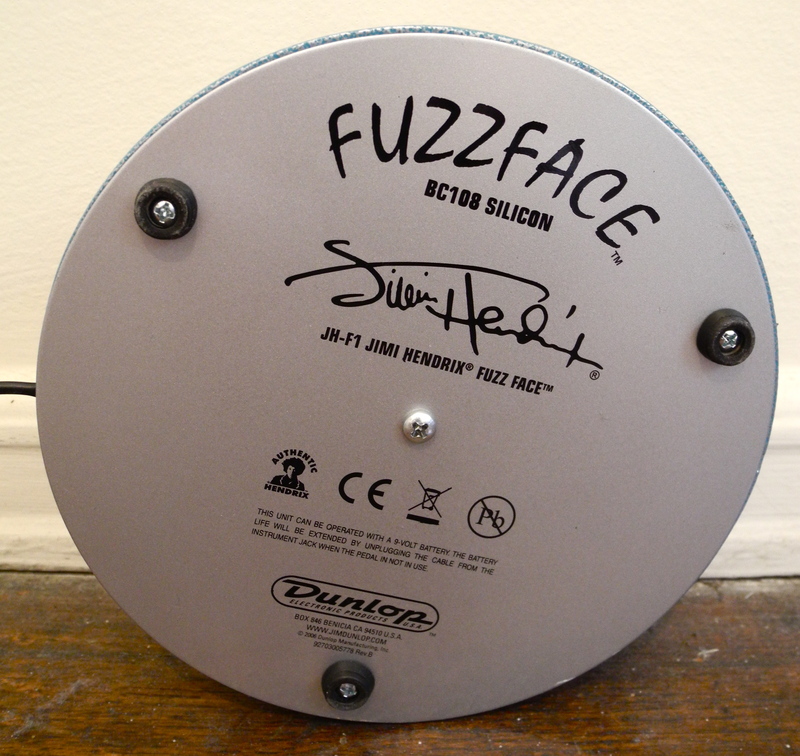 Today, Dunlop makes four Fuzz Faces – the Fuzz Face, the Jimi Hendrix Fuzz Face, the Joe Bonamassa Fuzz Face, and the newly released Eric Johnson Signature Fuzz Face. Each one of these Fuzz Faces has a different aesthetic, and slightly altered circuitry, but strives for that classic Fuzz Face tone. The Jimi Hendrix Fuzz Face is a “meticulously faithful reproduction of Jimi’s 1969-1970 Dallas Arbiter Fuzz Face.” The silicon transistors and hand-wired circuitry match Jimi’s pedal, and the turquoise casing and knobs match the original Fuzz Face Aesthetic. Overall, at roughly $140, this pedal is a solid purchase for anyone striving for that Fuzz Face sound. With only two knobs, Volume and Fuzz, it’s easy to use, and offers a wide array of tones, from mildly distorted to extreme fuzz. 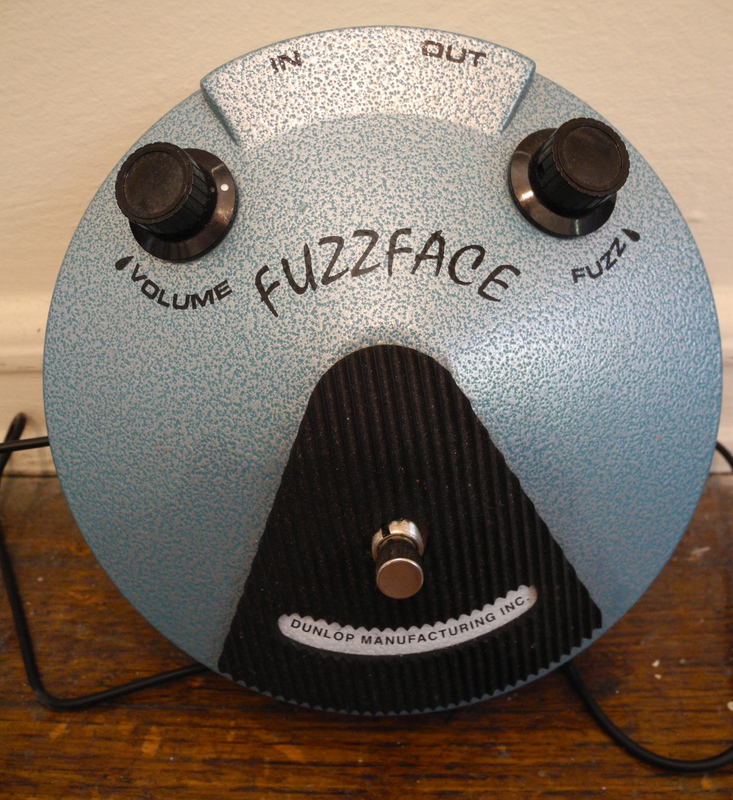 The sound of the Fuzz Face can be a bit harsh if used incorrectly, but once you are familiar with the pedal, it’s easy to dial in the tone. The biggest downside to this pedal is that it’s powered by 9V battery, with no AC adapter. However, this can be solved by purchasing a special 9V power adapter for about $5 at your local guitar shop, making the pedal power source friendly. 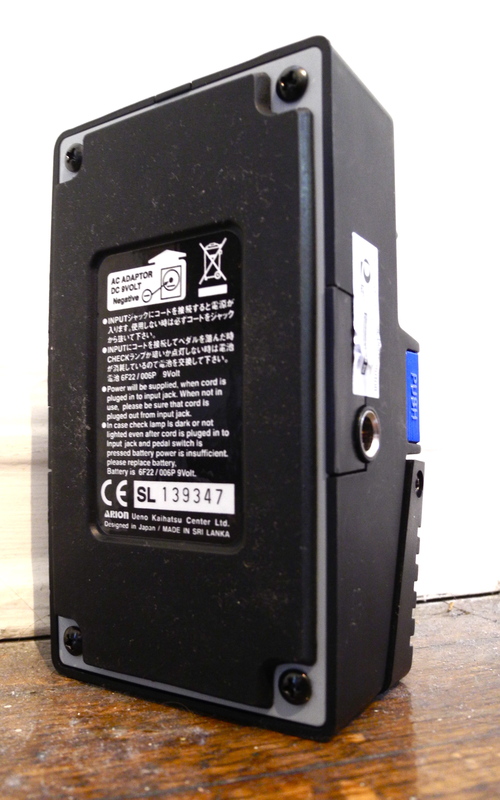 Another downside is the size and arrangement of the input/output jacks. Although the looks is very cool and authentic, it takes up valuable real estate on the pedal board and isn’t designed to work well with patch cables in a signal chain (I have a roughly 5″ cable I use from its output). Nonetheless, these issues aren’t major, and are well worth the effort to get killer fuzz tones a la Hendrix, Cream and EJ.